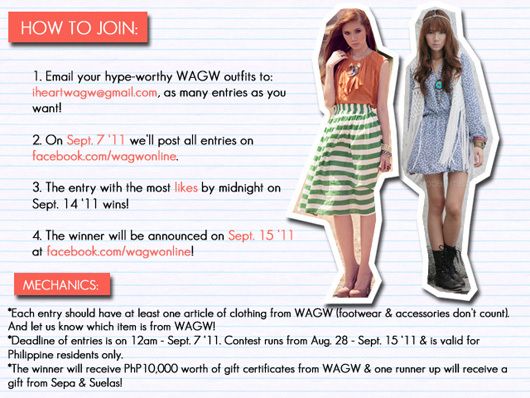 One of my favorite brands, WAGW is holding a contest for all you fashionistas out there! Interested? Check out the poster below for more details. WAGW is one of the best places to shop at! Their clothes are extremely affordable too. 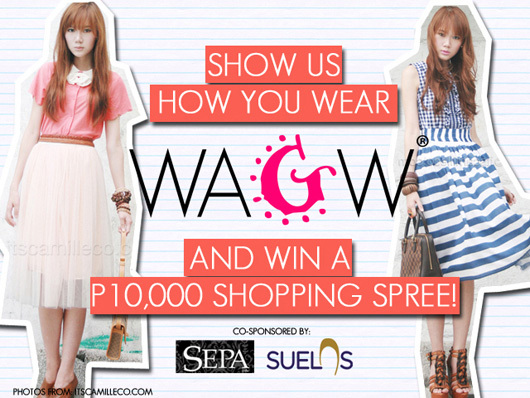 You can buy A LOT with P10,000 at WAGW, trust me! Don’t let this awesome chance slip away!